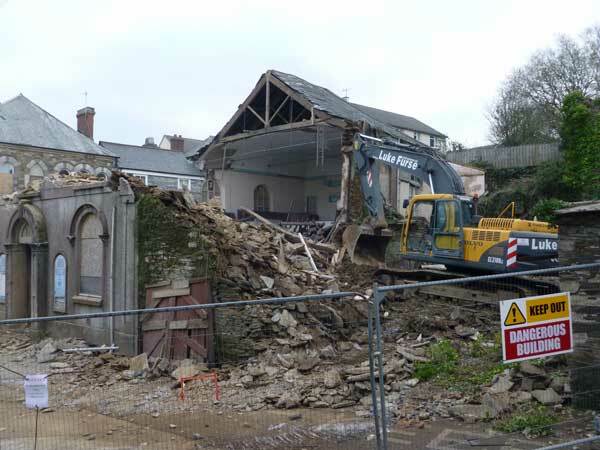 The history of the Launceston Congregational Church | Launceston Then! 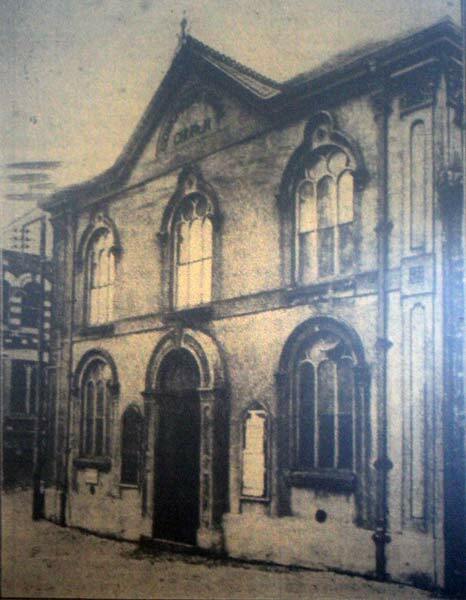 The Congregational Chapel, Castle Street. Mr Oliver, a curate of St Mary Magdalene church until 1663, kept a school in Launceston; he is said to have founded the Society for Protestant Dissenters in Launceston, later the Congregationalists. In 1707 Edward Bennett, of Hexworthy, conveyed a piece of land and the sum of £120, bequeathed by his father, William Bennett, to six trustees to found ‘A Presbyterian meeting house in or near Launceston.’ A piece of ground in Castle Street was chosen as the site, and a building was erected in 1712. In 1745 the Presbyterian cause in Launceston had diminished to the point that the meeting house was closed and was sold to Thomas Parson, junior, a local clothier, who turned it into a dwelling. Records of subsequent events from 1775 appear in the Church Book of Castle Street meeting house. In 1775, John Saltern started regular religious meetings in the house of William Sheers, in the Borough of Newport, and as the attendance increased meetings were held held in a larger kitchen hired of a person who lived in Newport Square. After this the meetings were held in what was described as the ‘Great House’ at the foot of St. Thomas Hill belonging to Joshua Thomas. In 1782 William Saltern succeeded his brother, John Saltern. 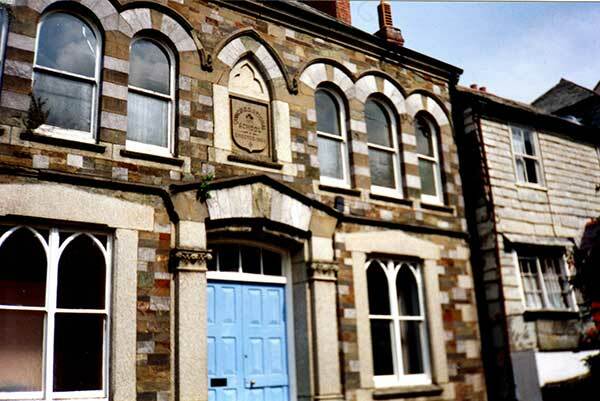 The attendance at the services continued to increase and in 1788 ‘a spot of ground’ was acquired in Launceston, which had been the site of the old Presbyterian meeting house. The building which stood upon this ground was rebuilt at a cost of £380 4s. and opened for religious worship on September 18th, 1788. In 1790 there was formed an Independent Church ‘maintaining power within itself of admitting, refusing, or discharging members according to its own rules.’ The constitution and rules were set down in detail and signed by 27 members. On June 7th, 1790, the Rev. William Saltern was ordained, and the morning service on that day commenced at 10 a.m. And concluded at 2:30 p.m. The Rev. William Saltern died on April 18th, 1795, and the Rev. Jonas Lewis was engaged until Ladyday, 1795, at a salary of 20s. per week. He was ordained on October 12th, 1796, but resigned in 1799, owing to a personal difficulty with the congregation. On June 29th, 1800, the Rev. Richard Cope Ll,D., who was then a student, preached and was invited to continue his services for twelve months. At the end of the twelve months he was invited to accept the pastorate at a salary of £60 per year, and was ordained on October 21st, 1801. In September 1800 he was enabled to found the Castle Street Union of Sunday Schools, which afterwards included Langore, Dutson, Polyphant, Greston Bridge (Greystone) Yeolmbridge, Bridgetown, North Petherwin, St. Giles, Virginstowe, Lewdown, the first institution of the kind in Cornwall. Dr. Cope was succeeded, in 1821, by the Rev. Alexander Good, of London. During his ministry in 1823 the Chapel was again completely repaired and practically rebuilt. 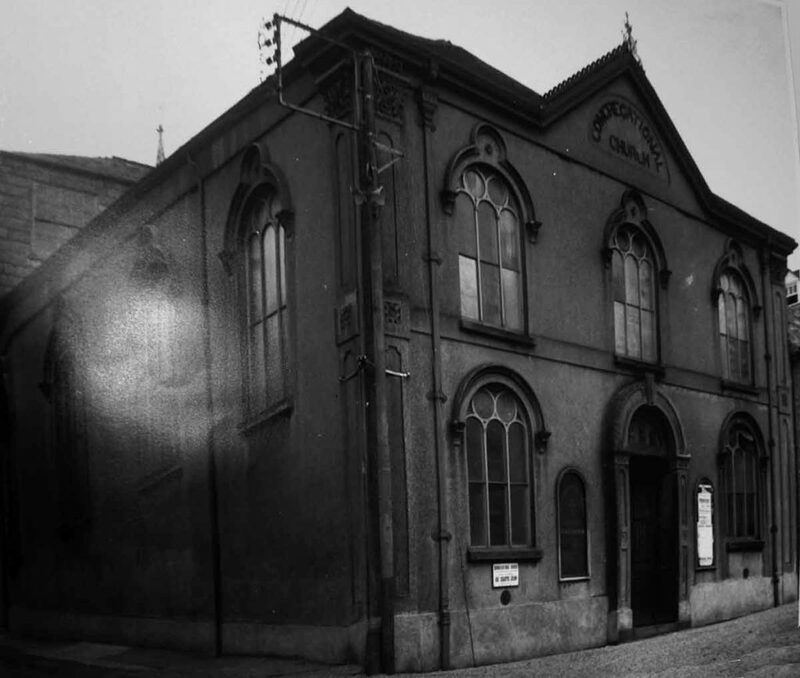 The Congregational Chapel in 1936. In 1824 the Rev. J. Barfitt, F.A.S., of the Western College, succeeded the Rev. Good. About this time the financial position of the Church gave rise to some anxiety, and at a special Church meeting held on June 13th, 1830, the scale of pew rents was revised, the charges varying from 4s. to 8s. Per sitting per annum. In addition to pew rents members of the Church were required to pay 1d. per week, and any persons failing to pay same were to be called before the Church. What pains of penalties were attached to any delinquent were not stated in the record book. The Rev. J. Barfitt terminated his ministry at Midsummer, 1836, and in July the Rev. John Horsey accepted the pastorate. At a Church meeting held on September 8th, 1836, a resolution was passed ‘That persons offering satisfactory evidence of conversion to God shall be considered eligible to all the privileges of Church communion, notwithstanding any difference of opinion on the subject of baptism and other points now expected.’ In 1852 there is a receipt (bearing a 6d. impressed stamp) from Mr. Hayman for £13 in payment for the organ in the gallery. 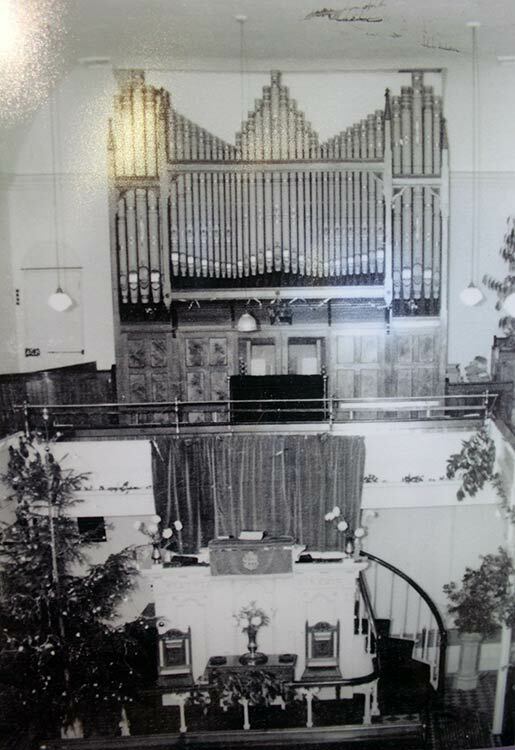 The Congregational Chapel in 1950. From 1856 to 1866 there was no entry in the Church book. Mr. John Geake resigned the secretaryship in January, 1856, and the Re. John Horsey took the Church book but omitted to make the usual entries. On March 25th, 1866, the Rev. Horsey resigned, and in November of the same year the Rev. T. E. M. Edwards, Western College, accepted the pastorate and commenced his ministry on January 6th, 1867, remaining until he resigned on September 20th, 1869. The Rev. Thomas Jackson, B.A., of New College, London, was an ex-pastor, and was ordained on September 21st, 1871. In 1870 very considerable alterations and improvements were made to the chapel. During Rev. Jackson’s ministry unfortunate differences arose between some members of the Church and the minister, on questions of doctrine, resulting in Rev. Jackson’s resignation in 1873. In 1874 the Rev. J. Bamford, of Western College, became the pastor, and he remained for the next 19 years. It was during his pastorate, in 1884, that the new Sunday School above left) opposite the Church was built in Northgate Street. For many years it had to be held in the chapel, for want of funds to erect a suitable room; but some ten or twelve years after a small ill-arranged room was erected at the back of the chapel under great difficulties, the ground of the steep hill having to be excavated, and what became a large and influential school accommodation in a very circumscribed space. 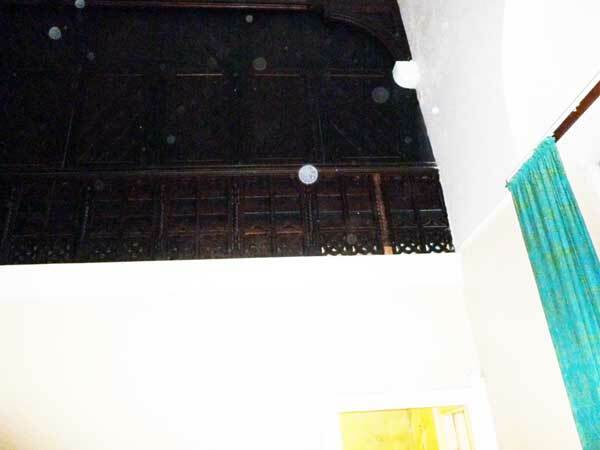 As the school continued to grow, the disadvantages of the room became more apparent, and some few years ago an effort was made to meet them by constructing a smaller room underneath. But this proved insufficient, and the friends had to labour on under circumstances which would have proved fatal to any less zealous cause. The need of a larger, better lighted, more airy and convenient school premises being admitted on all hands years ago, a resolve was made to provide them; but in Launceston, as in many other small towns, where property to so great an extent in the hands of a few, the great obstacle standing in the way was the utter inability of the managers to get anything like a suitable site. For years they tried to obtain one, but failed, and that complaint formed one of the chief features in many anniversaries. At last, however, through an important changing hands of property in the town, a site presented itself in Fore-street (Northgate Street), immediately opposite the chapel, adjoining the Ring O’Bells Inn, and where formerly stood a house occupied by Mr H. Osbourne. The line of frontage was not long but the depth of the property extended almost back to Tower-street, and gave ample scope for the block of handsome buildings designed by Mr Otho B Peter, architect of Launceston, and the contract for the erection of which was executed by Messrs Langman and J & G Strike, of Launceston, at a cost of £1,061. The design was semi-Gothic, and the material of which the buildings was erected is lime, free and local stone suitably intermixed with a handsome front of cut stone. The plan was for one large and commodious school-room 48ft long by 25ft wide, and 20ft in height, with a pointed roof and ceiling; the walls being plain, stuccoed. There were four capacious class-rooms, with a library, cellar underneath for heating, &c. Light could only be obtained from the front and the north side, the south standing against the steep hill, and this was given by means of four large and handsome Gothic windows in the former and two of a similar character in front, with the name and date between them. Royal Cornwall Gazette article on the opening of the Congregational Chapel’s new School building on July 4th 1884. Mr. William Cater was appointed Church secretary in 1883, continuing in this office until he retired in 1904. On January 23rd, 1894, the Rev. W. Miles commenced his ministry, which extended to June, 1903, when he left to take the pastorate of Buckland Church, Portsmouth. In 1907 a new organ (below) costing £458 was erected and paid for, £125 being provided by generosity of Mr. Andrew Carnegie. With the departure of Rev. Miles there followed a series of comparatively short ministries, the Rev. E. B. Rawcliffe from May, 1904 to November, 1906, and the Rev. Thomas Bowen from September, 1907 to May, 1911; Rev. F. J. Sloper, 1913, to 1919; Rev. A. G. Davis 1924 to 1929; Rev. F. Bowden, 1930 to 1933; Rev. Augustus Julian, 1933 to 1936; Rev. A. L. Trudgeon, 1936. 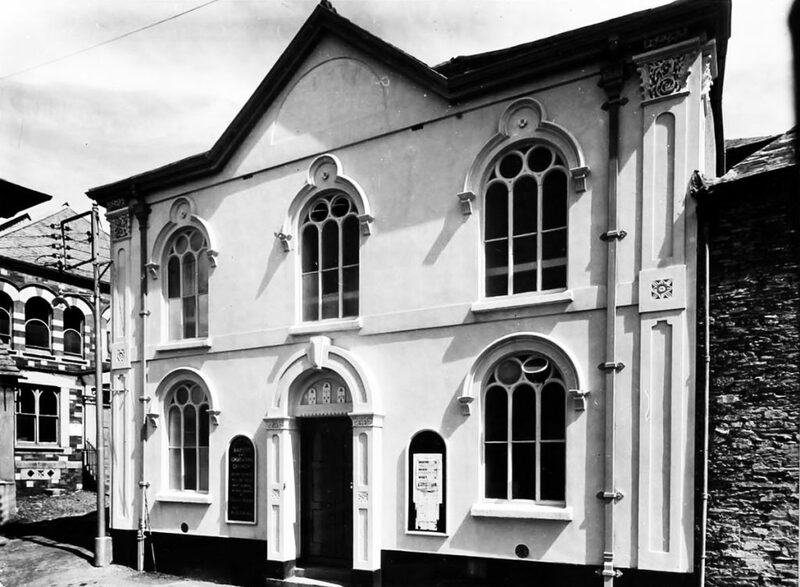 In 1936 the first radio broadcast from Launceston was made from the Congregational Chapel in Castle Street – on Sunday, October 18th, after the evening service, when a ‘carolare’ was given. During the second world war the Schoolroom was used as the A.R.P. Headquarters. The 1930’s saw a general decline and in 1935, with a membership of only thirty seven it was decided to seek union with the Baptist church. A scheme for outright union was rejected by both churches in 1936 but in 1940 it was agreed that church should exist separately, but worship with the Baptists. On the first Sunday of June 1940, the congregations united in worship under the ministry of the Baptist minister, Rev. H. J. Harcup. The two churches continued to worship in both their buildings, using each on alternate Sundays but by the end of the war, in 1947 it was agreed to seek full union, and to concentrate the work in the Congregational premises. Even though the Congregational chapel was in a less convenient part of the town, it was far larger and better suited for worship.Madford house was leased to the Ministry of Works for office accommodation. 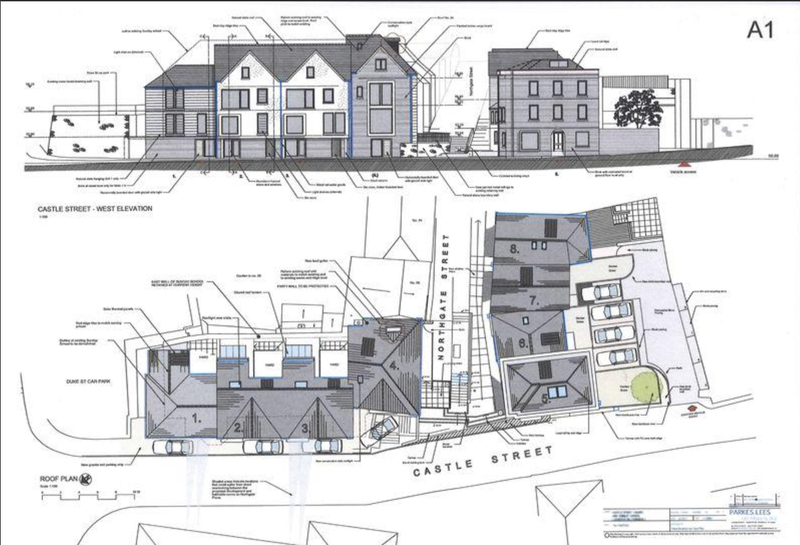 The income derived for the lease of Madford house was completely taken by the extensive programme of building repairs to the said building, plus the renovation of the Castle street premises. Rev. Harcup left at this time being replaced first by Rev. W. P. Hodge and then Rev. K. E. Hyde who was responsible for the implementation of uniting the churches. In 1947, the Rev N. K. Hyde became the minister, and in March 1947, came the inauguration of the association between the Congregationalists and the Baptists in one building at Castle Street, as the ‘Castle Street Fellowship.’ In October 1949, the Rev. F. R. J. Biorg came as minister to the church in succession to Mr Hyde, and in November 1953, the Rev. Howard Smith, a retired Congregational minister from Plymouth came temporarily for six months – and stayed for two-and-a-half years until obliged to retire for health reasons. From April 1956 to November 1956, the church was without a minister, with the Rev. R. W. Carr, another retired Congregational minister, taking charge of the church, coming from home in Bude every Sunday and several days each week. Cornish & Devon Post, 24 August, 1957: Castle Street Congregational Church To Close: Last services this Saturday. Launceston Congregationalists find the problems too big. 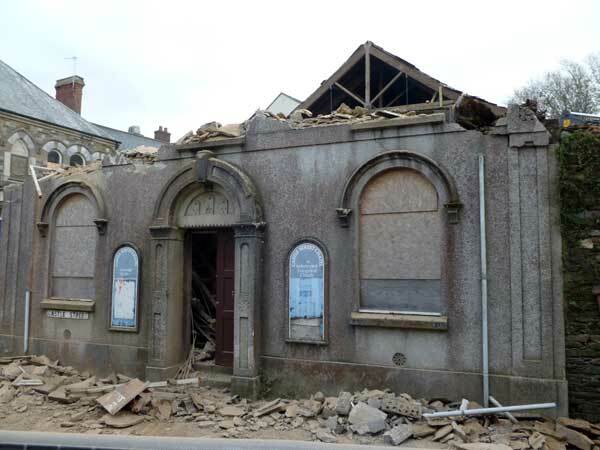 The final services of the Congregationalist chapel in Castle Street, Launceston are to be held this coming Sunday, May 24th, and thereafter the Church will cease to function as a corporate entity. The congregation is likely to be absorbed in other local churches of several denominations. The closure is mainly financial; the fabric is of a great age, the old PSA room over the church has to come down, and the properties belonging to the church in the town have remained in the ownership of the separate Unions of the Congregational Church and the Baptist Church, although the congregations of Baptists and Congregationalists have been worshipping together in the one church since 1947. It is the two Unions who will now control their respective buildings, with the Congregationalist Union having custody of the empty church. The Castle Street Church was founded in 1712 as an Independent Chapel (later Congregational). The present building was erected in the 1870’s and seats 500. In the past half-century it has had such ministers as the Revs. JF Sloper, AG Davies, Augusta Julian [1933-36] and AL Trudgeon [1936-40]. Then, from September 1940, came the sharing of a minister [Rev. HJ Harcup] with the Baptists’ services being held on alternate Sundays in each church, – at Castle Street and Madford. The Castle Street Church was founded in 1712 as an Independent Chapel [later Congregational]. The present building was erected in the 1870’s and seats 500. In the past half-century it has had such ministers as the Revs. JF Sloper, AG Davies, Augusta Julian [1933-36] and AL Trudgeon [1936-40]. Then, from September 1940, came the sharing of a minister [Rev. HJ Harcup] with the Baptists’ services being held on alternate Sundays in each church, – at Castle Street and Madford. 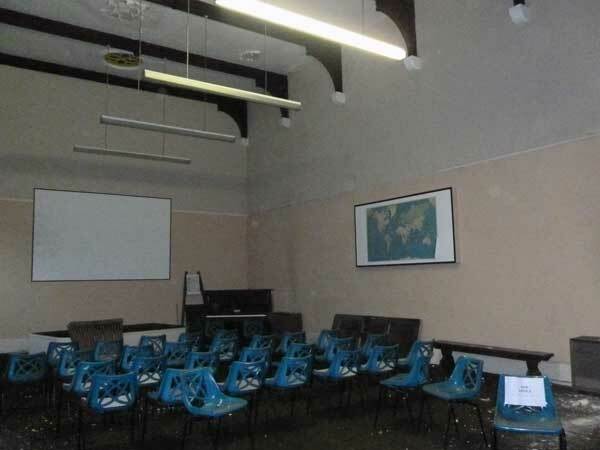 The Congregational Sunday Schoolroom in Northgate Street, which for some years housed the Labour Exchange, has been in the market for some time, and is yet unsold. It was from the Congregational Church that Launceston’s first ever radio broadcast was made; the Carolare, in about 1936, a service combined with community hymn singing. Many of the two congregations joined the Wesleyan Church becoming what is now today known as the Launceston Central Circuit. The Castle Street premises were sold in 1959 to the Downinney Foursquare Gospel Party and re-opened as Castle Street Chapel in 1964. But after several years of non use the building was put up for sale. With a gradual decline in its structural state the building suddenly collapsed in February 2013. With the rest of the structure remaining unsafe, this was then demolished. The Sunday School (above), was used for many years as the Labour Exchange as well as for a Bible group on Sundays. 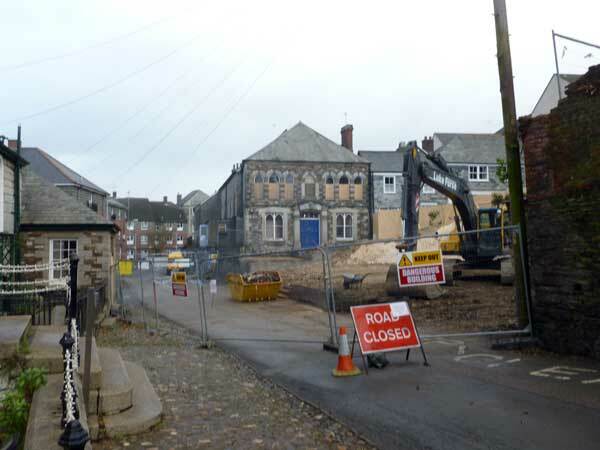 It to was near to collapse in 2013 and the front had to be shored up and as of 2016 this and the chapel site are now for sale as a development for 8 residential houses. Part of the panning consent is for the front of the Sunday School to be retained.